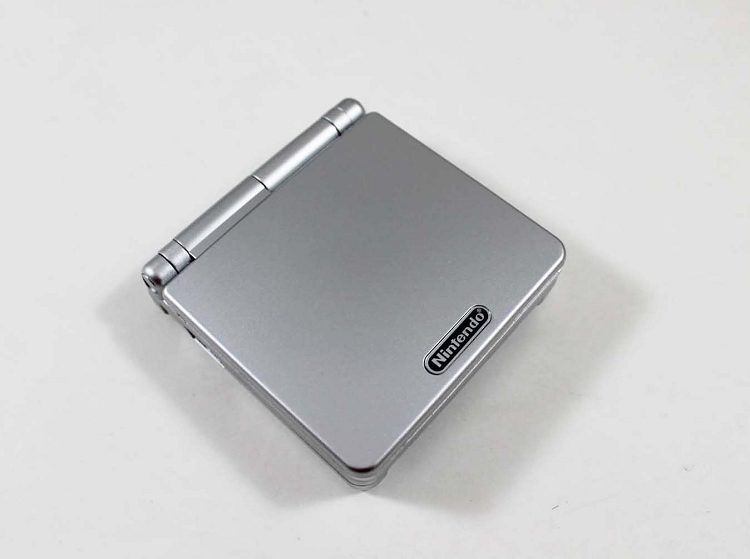 Building on the improvements and refinements of the original Game Boy Advance, the Game Boy Advance SP allows plays all of your favorite Game Boy, Game Boy Color, and Game Boy Advance games on one system! This system has been tested and is guaranteed to work! Has some cosmetic flaws (scratches, wear, etc) and price is reduced accordingly. It arrived on time, but is more beat up that what the description implies. Also, the screen is really dark even when I turn on the back light. I know it's an older system, but I don't remember it being this bad. Also, the switch to turn it on was stuck on off and it was extremely difficult to get it to switch to on. Once I got it the first time, it loosened up a bit, but still. Other than that it works okay and the sound is pretty good for an old model. I ordered this for my grandson just days before Christmas. It arrived ON TIME and in terrific condition. He's enjoying it daily with no problems! Works great! Has a lot of scratches, but that was to be expected since it was discounted. There's also some dust underneath the screen which is a little annoying, but not TOO distracting. Neither of these things hinder its performance whatsoever. Very happy with it! I bought this because I had a regular gameboy advance that was scratched over the years and hardly legible. I've never had the SP version. I thought I'd try it out. Love that it has a lighted screen option. I expected light scratching on the case and there is but when I opened it not a scratch and the screen looks brand new. Everything works and it charged quickly. Comes with a new charger too! Love this purchase so much! In amazing condition ( as if new) a few tiny scratches thats it, otherwise the system it self works great !! Will definetly purchase from them again. It's in very good condition minor scratches on the back and screen but there are some problems the R and L buttons don't always work and between the screen casing and the screen there is dust and it can be annoying during gameplay. I bought this Game Boy SP for my son. We received it within a few days of ordering and it was in great condition. Customer service from Lukie Games is wonderful and we will be ordering from here again in the future. I had originally ordered an SP from Amazon prior to finding Lukie Games but had to return it due to poor quality and no charger included. We will definitely purchase all our used games from Lukie Games from now on. I bought his for my 7 year old for Christmas. It arrived quickly and in great shape. We are very happy with this purchase. I bought this item for my teeenage son. He had used up his old one. 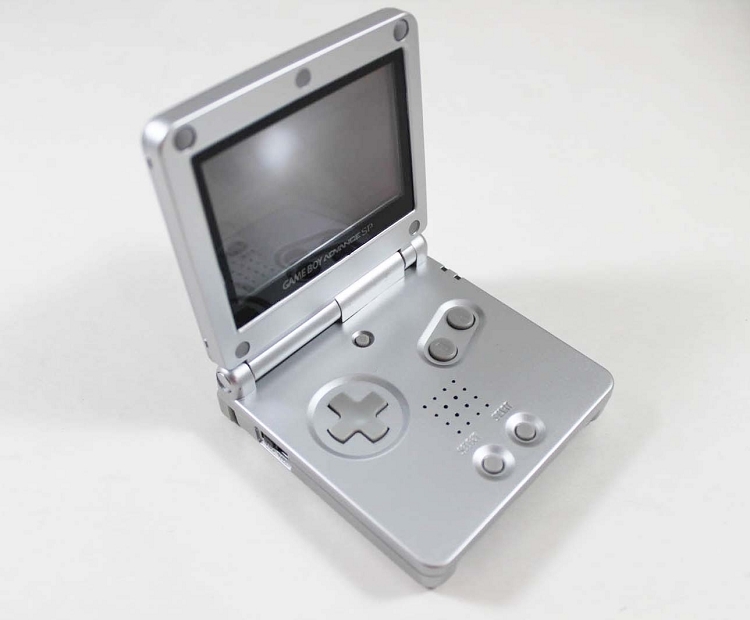 He is big fan of of GBA SP. It is a nice size to carry in the pocket. All buttons were functioning and it looked really good. It also arrived it a very timely fashion. I ordered this along with a few games in hopes that I would use it on my boring busrides to work. I told myself I'd use it responsibly and that I would use this new power for good only. Mistake! I find myself coming home only to flip on the power switch of my Gameboy Advance and lose myself in worlds of turtle-fighting plumbers, fire-breathing pocket monsters, elves searching for bigger and better swords, and apes that want to figure out who stole their banana hoards. At work, I dream about my next break and try to calculate how many levels I can up certain Pokemon with a mere ten minutes. I'm afraid at the next family outing that I'll say I have a weak blatter, when in reality I'll be shamefully hiding in the loo, trying to beat "just one more level." I'm hooked and I can't shake it. Don't buy this if you're expecting a system that won't deliver and will leave a bitter taste in your mouth. This is fine quality gaming and I guarantee you won't want to put it down! On serious note, Lukie has made me a very happy customer. I'd highly recommend you not only purchase this exquisite piece of machinery, but you also buy it from the only gaming site that matters, Lukie Games. The shipping was was great, about 5 days. I was surprised. The Gameboy was in great condition. It works great have not had a single problem yet. My son love it!!!! This was a good value for the money. My grandson and I enjoy this system.